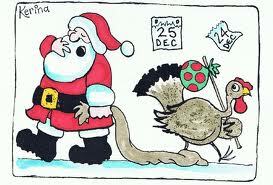 This week in writing we are doing a compare and contrast writing involving... wait for it.. Christmas and Thanksgiving. Luckily all my students and their families celebrate Christmas. My team teachers did this last year and said their students loved it! I'm excited to get it underway today. First, I am giving them a Venn-diagram to fill out. After that I am showing them an example of a compare/paragraph and a contrast paragraph. This is the one I used:) I highlighted things that are important- Transition words, proper nouns, and commas. There are several ways Miss Janes and Miss whoever are alike. First, they both are third grade teachers at Bowling Green Elementary. Second, they both like to go shopping. Third, Miss whoever and Miss Janes both enjoy spending time with their friends. These are the ways that Miss Janes and Miss whoever and alike. There are several ways Miss Janes and Miss whoever are different. First, Miss Gamm has darker hair than Miss Janes. Second, Miss whoever is two years older than Miss Janes. Third, Miss whoever is engaged and Miss Janes is not. These are the several ways that Miss whoever and Miss Janes are different. On another note I passed an ambulance this morning on my way to work. Later I found out it was to pick up my student's sister. At around 7:15 this morning she suffered a seizure and was transported to St. Louis by helicopter. Hopefully we find out some better news this afternoon.. Please keep her family in your prayers. Hi Courtney! I found your blog over at Farley's Oh Boy 4th Grade blog. I'm your newest follower! Check out my blog if you have a chance!